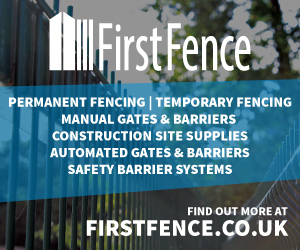 Fencex is a must for contractors, specifiers, security procurement experts, local authority officers, architects, leisure facility managers, highways specialists and statutory bodies. FENCEX attracts delegates from both Europe and all over the UK. This year just under 400 trade delegates, including contractors, specifiers, security procurement experts, local authority officers, architects, leisure facility managers, highways specialists and representatives from statutory bodies attended the Fencex 2018. Many companies premiered their latest products and services and exhibitors reported a high level of good calibre enquiries. Plans are alrerady in hand for 2020 and details will be announced in December 2018.